A young vicuna, at an altitude of 4520 m. On arrival of the Spaniards, there was more than one million vicunas on the high plateau. In 1960 one counted only 60 000 vicunas in Chile, 100 000 in 1982. 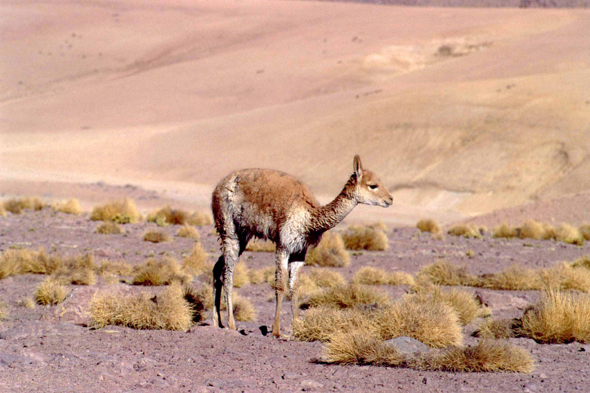 Vicuna is protected today by the legislation of all the Andean countries.